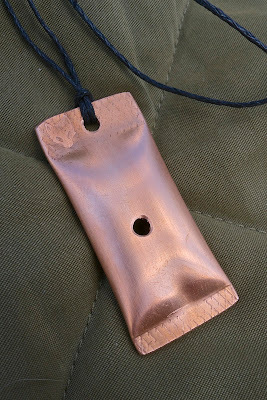 I received this in the post today - the 'Nasher' fox call - from Eddie Nash who runs the Lamping Foxes group on Facebook. So first things first, thanks Eddie for sending it through for me to try. 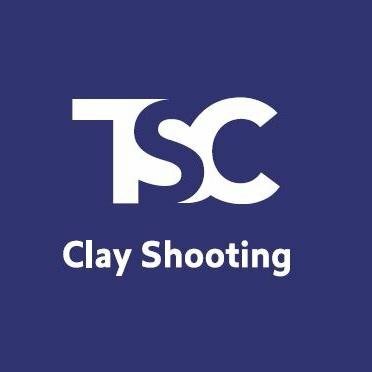 It's had some good reviews from experienced foxshooters, so I'm looking forward to trying it out. 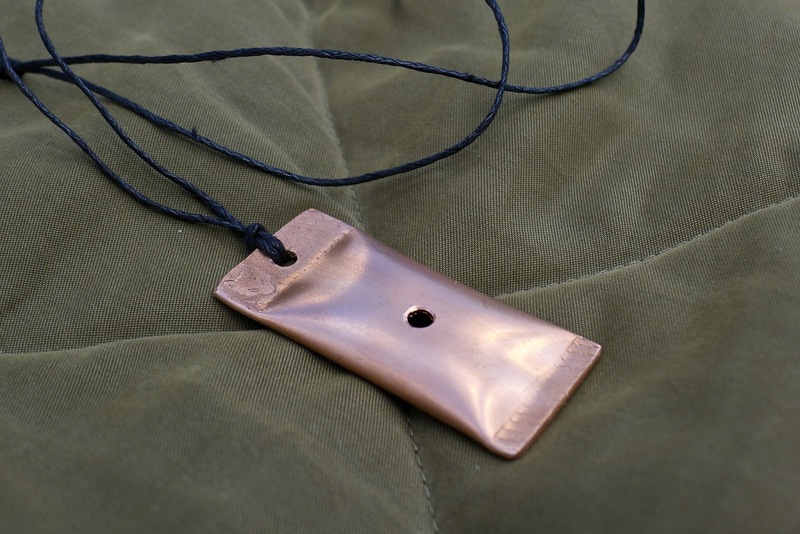 Initial thoughts... well, it's a simple and clever design, looking basically like a short length of copper pipe squashed into a pillow shape, with the ends crimped shut and a hole drilled straight through both sides in the centre. Looking at it, you might think it would make a similar sound to the WAM call - a favourite of mine for close calling, although it doesn't have the Tenterfield-style Bestfoxcall's power to reach out to foxes several fields away. Horses for courses, I use both, as well as the plastic reed-type when the mood takes me. Without any foxes handy to test it on, I thought I'd try out a new app I've put on my mobile - I've been wondering what it might be good for. It's called FrequenSee (geddit?) 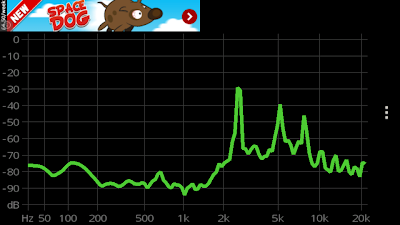 and displays a graph of, yes you guessed, the frequency profile of whatever sounds are being picked up by the phone's mic. Ignore the silly ads at the top left of each screenshot; it's a free app and that's the price you pay. First up, the WAM. 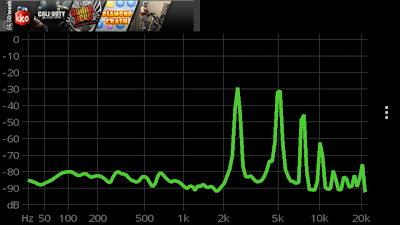 Notice the first and biggest spike a little above 2kHz. Then the higher frequency spikes around 5kHz, 8kHz and a smaller one at 10kHz. The shorter spikes higher up may be harmonics of the lower ones, or perhaps they are more to do with the rushing of wind out of the side of my mouth etc. I suspect they aren't loud enough to travel far anyway. Someone more musical than myself (which is not setting the bar very high) may be able to tell me what musical notes these represent. So, on to the Nasher. Subjectively, I felt the sound was similar in tone to the WAM, but louder and more raspy. 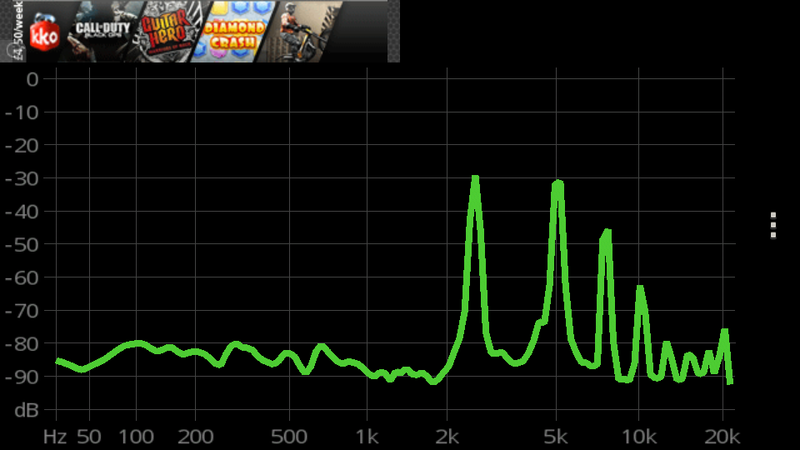 I was interested to see that the spikes are almost identical in frequency, although the shapes are different. The line is higher in the gaps between the spikes and, although you can't see it in the screen-grab, the line was far more animated, wiggling up and down like a crazed snake. To my ears, that corresponded with a more raspy, 'dirty' sound, as opposed to the pure whistle-like tone of the WAM. Which may well be a good thing. Experience has shown that foxes are attracted to the raspy tone of the Bestfoxcall - as one foxshooter told me, the more spit you can push throught it as you blow, the better. So I have high hopes for the Nasher, and I'm looking forward to trying it out on the Skye foxes when I head up there shortly. One thing I must work on is holding the Nasher in my mouth; doing the phone app tests, I struggled to hold it with my lips and leave both hands free to grab the screenshot. That wasn't a problem, but it will be a problem if I don't have both hands free for shooting when I use it for real. Incidentally, check out the little fox mask logo stamped into the crimp at top left - a nice touch. There was so much to see and do at the CLA Game Fair we couldn't possibly fit it all in one show. This is the second featuring the fair; there will be more from the CLA in the next show in two weeks time. Note the rather natty Schools Challenge TV microphone wielded by Izzy in her interview with Andrew Crawford. It's a trusty and well-worn dynamic AKG D230 which served me well when I was producing audio podcasts, spruced up with a red foam cover and a white mic cube. I printed the show's name on a sheet of sticky labels, cut them out neatly with a steel ruler and my Swiss Army Knife, stuck them on as straight as I could and, hey presto, custom SCTV mic! 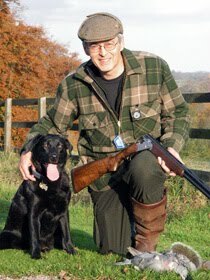 The Shooting Show this week features my piece on pigeonshooting in Essex, with Blaze Publishing boss Wes Stanton shooting with gamekeeper Geoff Garrod. It was a lovely day, if anything a bit too hot, but we were set up in the shade of the cherry trees with a nice breeze cooling us so I'm not complaining! I'm still experimenting with settings on the XF100, and although I'm not there yet, the files come into FCP looking pretty good, with nice exposure and good colour balance and saturation. Oh, apart from the bit where I set the aperture manually (for the interview with Geoff) and then forgot to put it back on auto. Schoolboy error which I largely managed to correct in post - and by good fortune it also gave me a really fast shutter speed for the shots of pigeons coming in to the decoys. I might do that on purpose in future, just so long as I make sure I'm not overexposing in the process. Also in this video, you'll see footage from my Sony HDR AS15, an alternative to the ubiquitous GoPro. I prefer the shape of the Sony, which lends itself better to being strapped to the side of a gun etc - and the footage is nothing short of amazing for such a tiny cam. Just as an aside, filming the boss of your biggest client is not good for the nerves! Here's a video I made about David Glyn Jones, who is on the trail of what he believes is a puma living wild on some rough ground just outside his home town of Preston. David is deaf, which to my untrained eye appears to go some way to explaining why he is more observant than average. Plus he's been tracking wildlife since he was a boy, and loves spending time outdoors. He can look at a tree branch, patch of Himalayan balsam or a grass field and spot signs that I wouldn't have noticed in a million years. Tracking down whatever-it-is has become something of an obsession for him. I managed to borrow a couple of trail cameras from Minox to help with his quest. I went to visit him at home last week, and this is the result.